great finds- love the nautical letter one! I love the navy bag with the little bow, adorable. Love the signal flag designs! So fun. I'm having a giveaway this week at my blog! I hope you'll come check it out! 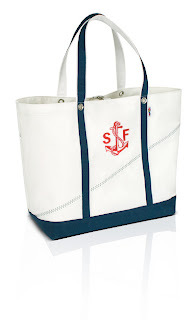 I love the navy nautical bag...so cute! New ones to obsess about! Love them. 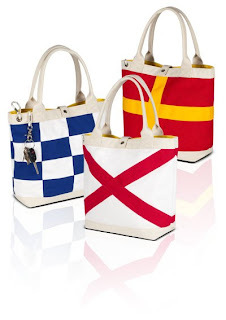 i am loving the flag tote! The flag totes are awesome! I love Parrott bags. I hadn't seen these new ones though. Aren't these amazing? We just spoke with them abut carrying the line, that is how much we love them! Have a stellar Thursday Miss Nautical! Wow. So cute. And I am not even close to you in terms of nautical chops. 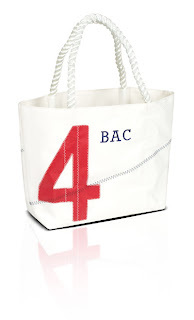 Love the flag tote. Super cute! i have my monogrammed totes from LL Bean - love it! 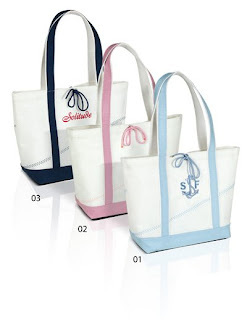 Love them all, especially the windjammer tote! I love the last bag! LOVE the flag totes! May have to get on in Whiskey or Juliet!! !